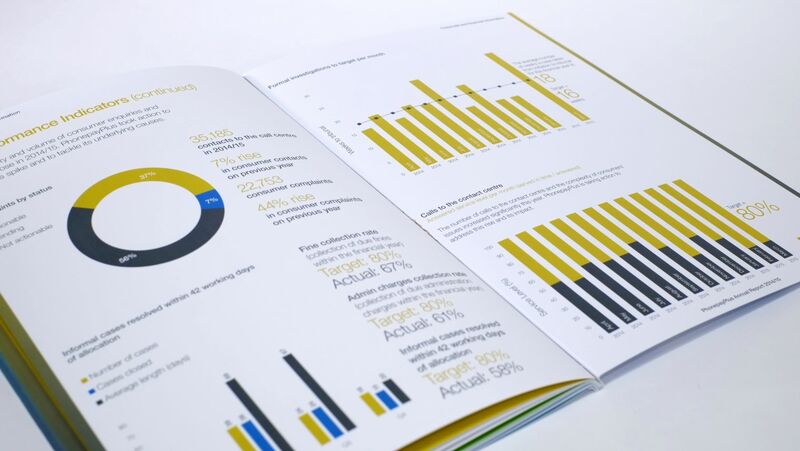 For PhonepayPlus’ 2014/15 Annual Report, we created a new set of striking visuals, making use of full-bleed photography and refreshed infographics. 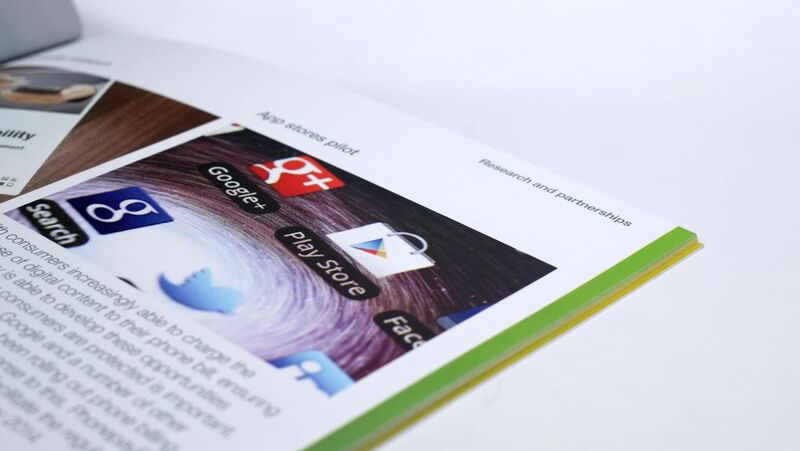 The PhonepayPlus brand colour palette is broad, allowing a wide range of colours for what could otherwise be a series of pretty dull information… With annual reports, our job is always to make the content as engaging as possible. 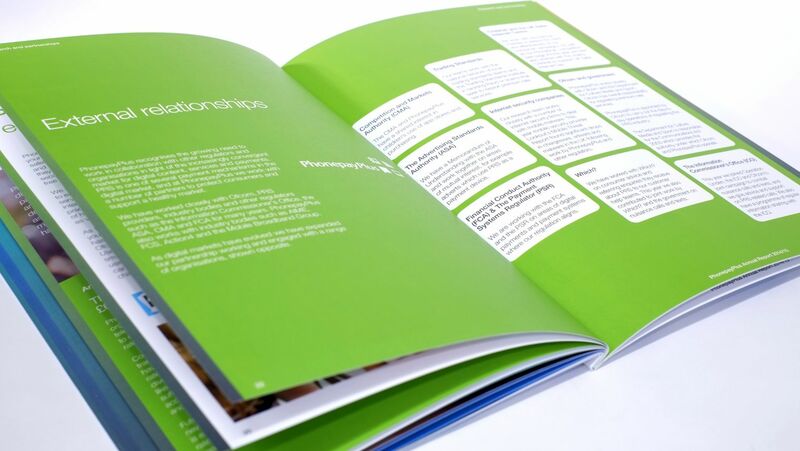 With an annual report design we’re sometimes presented with the challenge of how to fit a lot of copy into a tight space. Thankfully PhonepayPlus are aware of this challenge and subsequently very few of the spreads in the annual report are busy. Where a lot of content does occur, we were able to break it up with imagery, pull out information, blocks of colour and relevant formatting of subtitles. Hierarchy is something we’re always raving on about. Good hierarchy in a visual system is a key component in the aesthetic. Hierarchy allows the reader to delve into various pieces of the content without getting lost in a sea of information. Good hierarchy starts by clearly defining typographic styles within the brand, and the piece of material being created. 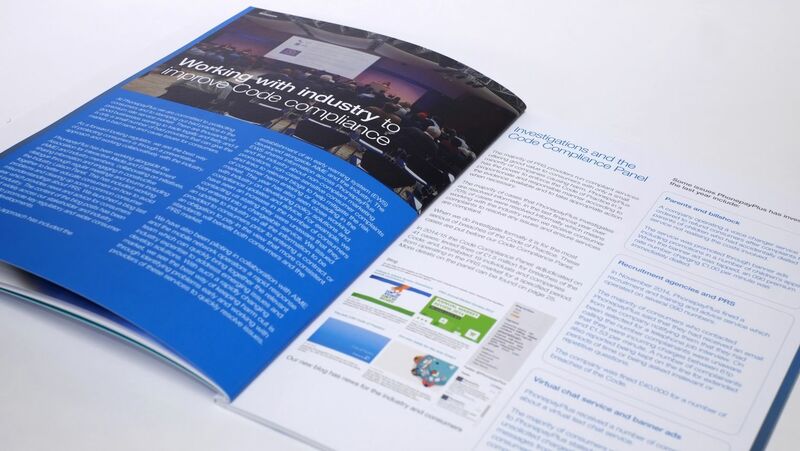 We often contribute towards the image selection for an annual report. The client usually has a range of photography available but there will always be a number of gaps to fill, and we insist on sourcing the right imagery. We contribute a range of appropriate stock photography, photography we take ourselves, and imagery provided by the client. Graphic designers love designing graphs. 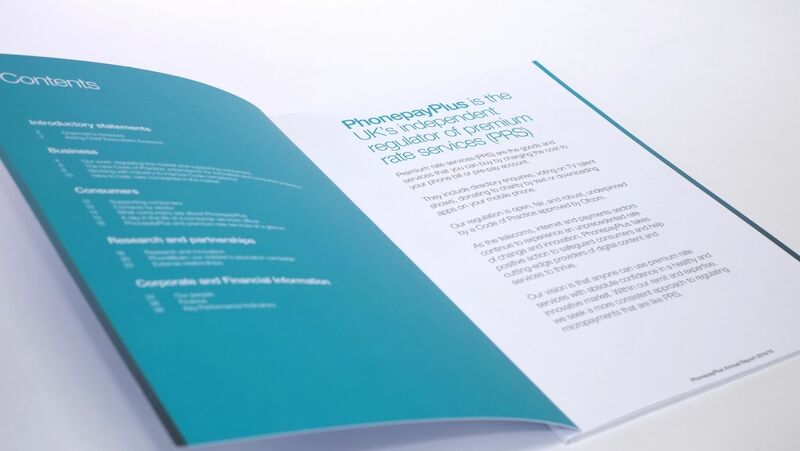 Every year we create a new set of graph styles for PhonepayPlus’ annual report. 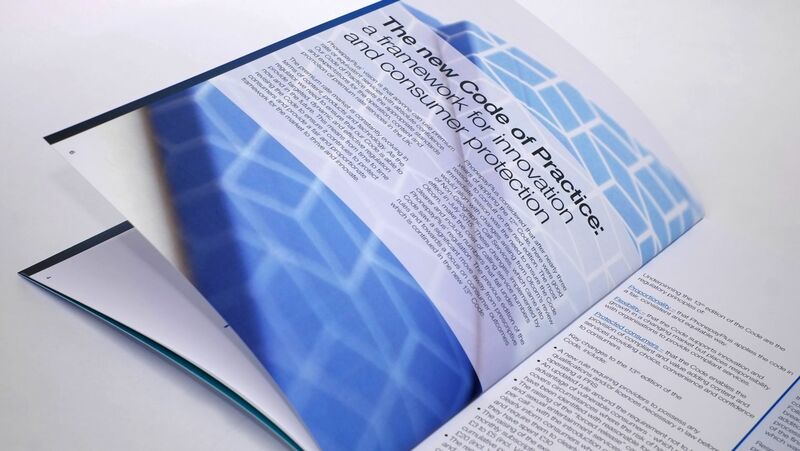 The design decisions made reflect current branding trends, as well as being driven by the spaces available within the document and of course, the type of information being presented. If you ask any graphic designer what they love most about their job, designing infographics will be high on their list!